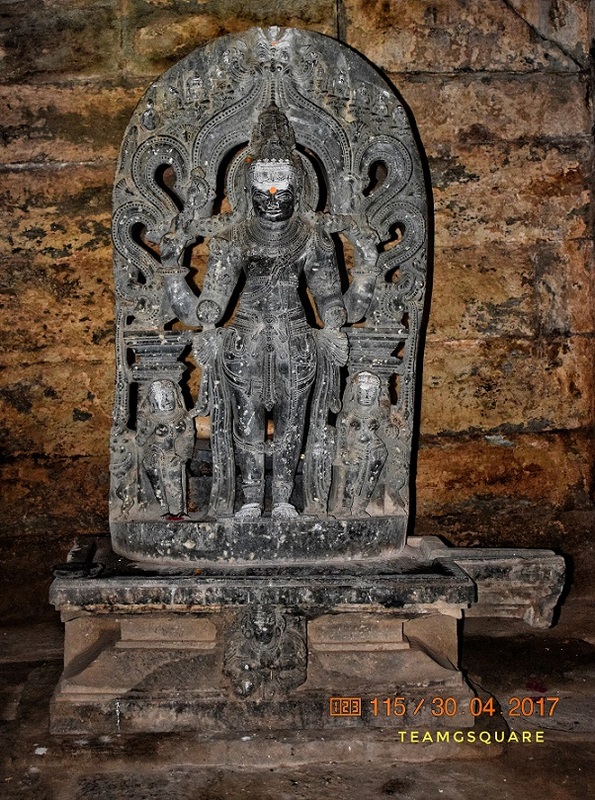 Angur/Angoor, a small nondescript village on the banks of the river Tungabhadra is home to an obscure and rare Chalukyan temple dedicated to Lord Shiva. Reaching this temple in Angoor was as difficult as reaching the village itself. During our road trip of exploring the hidden gems on the banks of river Tungabhadra, we made a point to visit this temple dedicated to Sri Kalleshwara Swamy. We had to do some off-roading to reach this village from Magala and some search to reach the temple. To our shock and surprise, we found the entrance to this temple being locked for eternity. After inquiring with a few locals, we were advised to jump over the gate and enter if we wished to see the temple. I was a bit skeptical in doing so but with no option left, I forced myself and jumped over the gate to gain entry into this temple. However, it was only later that I found out about the conversion of one portion of the fence into a makeshift gate for the care taker's to entry into the temple premises. 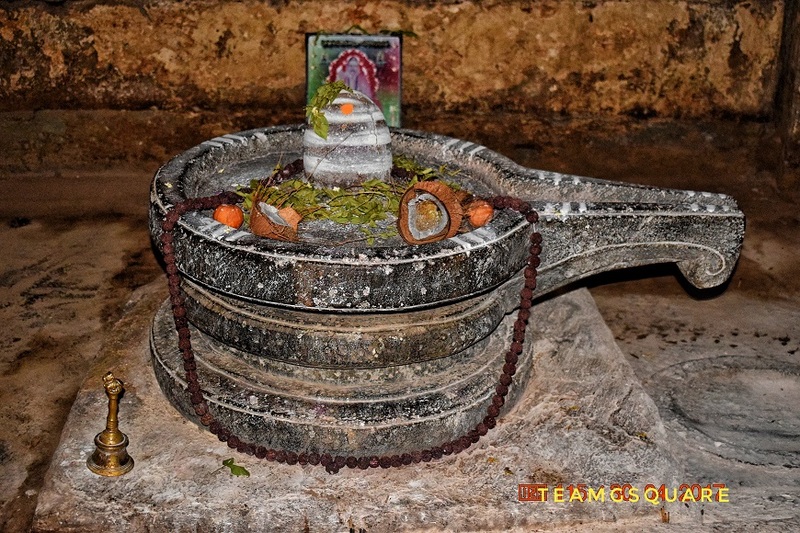 Sri Kalleshwara Swamy Temple is a south facing trikuta temple dedicated to Lord Shiva in the form of a Linga, and Lords Janardhana and Surya built during 11th century by the Kalyani Chalukyas. Though not very impressive from outside as compared to the other temples built by Kalyani Chalukyas in the neighborhood, this temple has the distinction of being very unique owing to the presence of rare murtis of Lord Alingana Chandrashekaramurti, Daksha Mahaprabhu with his consort Prastuti and the god and goddess of eternal love, Rathi-Manmatha. 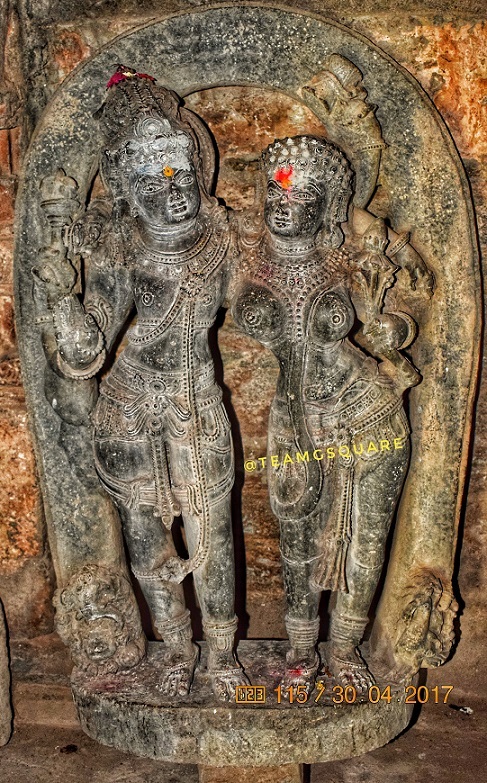 The sheer presence of these murtis are itself very rare and their occurrence together is extremely significant. Daksha Mahaprabhu or Daksha Prajapati is one of the many Manasaputras (wish born sons) of Lord Brahma and is the father of Rathi (goddess of love) and Sati (one of the wives of Lord Shiva). As per vedic beliefs, Daksha Mahaprabhu was allotted the work of developing/expanding the universe by Lord Brahma. Daksha Mahaprabhu is depicted with a Ram (male goat) head most commonly alongside with Lord Veerabhadra. 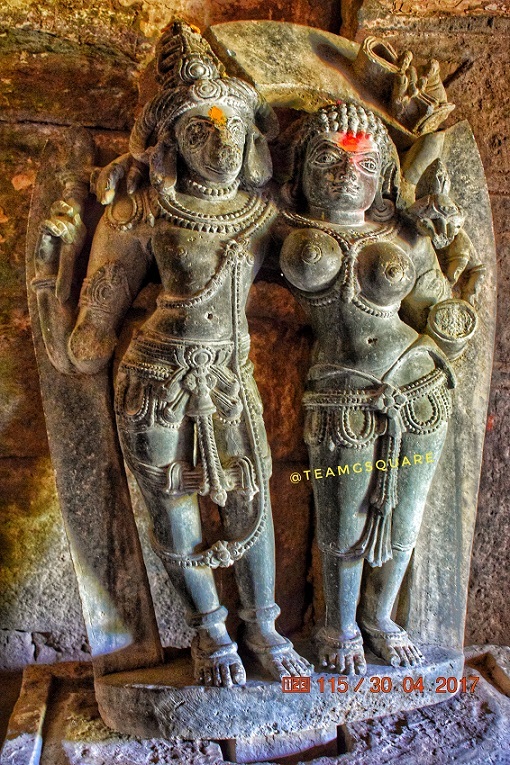 There are very few temples dedicated to the love-god couple Rathi-Manmatha, but hardly any dedicated to Daksha Mahaprabhu. 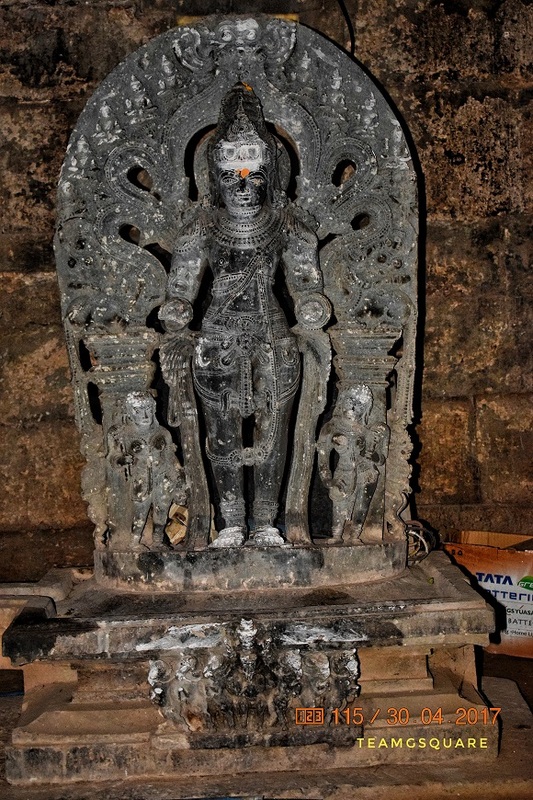 Even the occurrence of Alingana Chandrashekaramurti is quite interesting since Lord Shiva is rarely worshipped in this form. 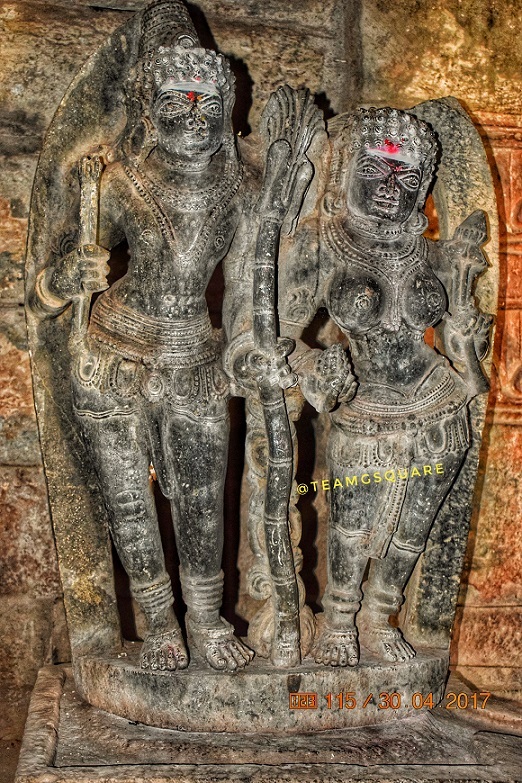 Sri Kalleshwara Swamy Temple is thus very unique and must have been built to please these Lords in order to increase the population. 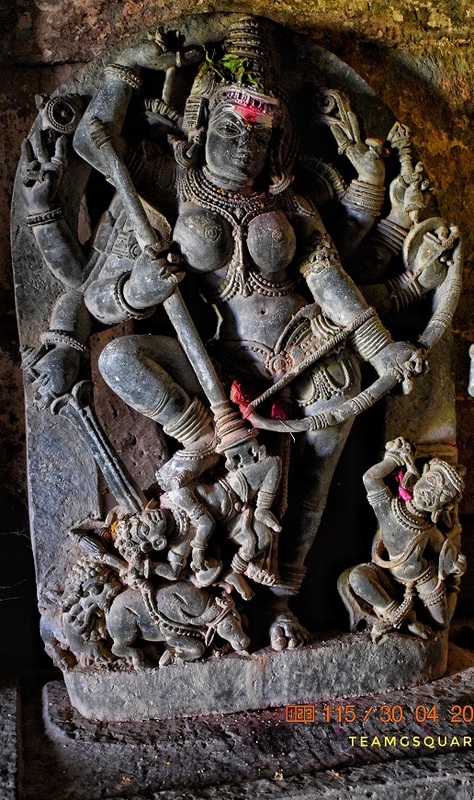 These beautiful murtis along with those of Lord Ganesha, Goddesses of Saptamatrikas and Mahishasura Mardini, and Nandi are seen in the sabhamandapa. 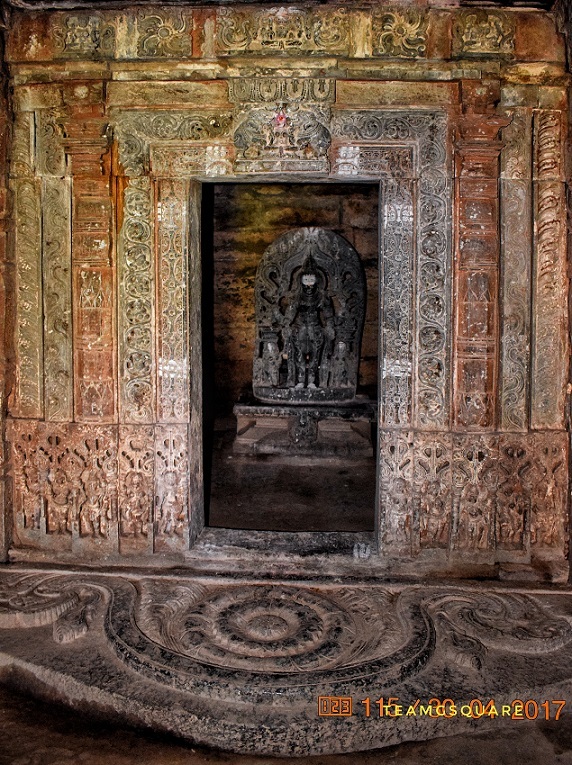 All the doors of this temple are finely carved. 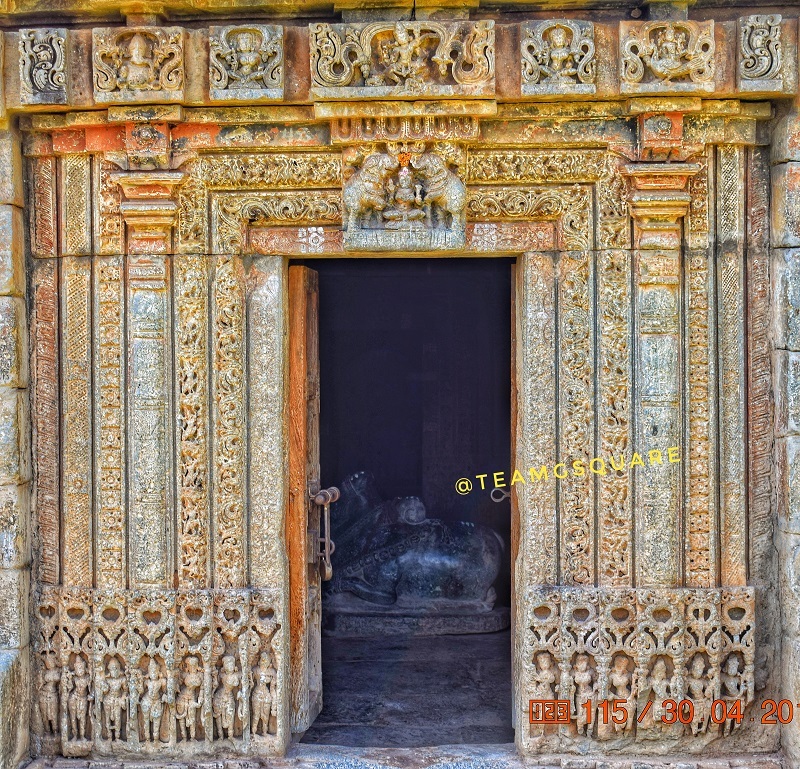 The door jambs of the garbhagriha consists of five sakhas (bands) decorated with various flowers, creepers, animals, and musicians and that of the Mukhamandapa consists of seven sakhas decorated with (1) lozenges (2) creeper-scrolls (3) flying mithunas (4) pilasters (5) square flowers (6) ropes and (7) petals. 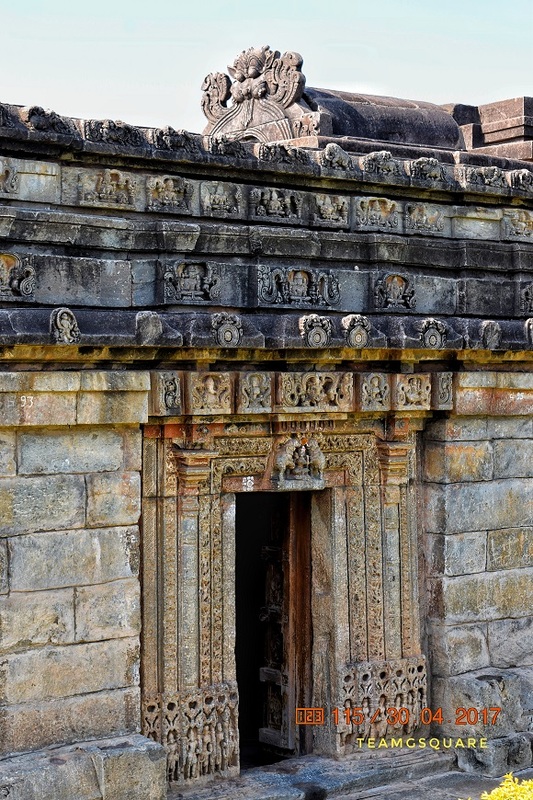 The outer wall is plain with the kapota having padma moulding on its underside and a curved top with semi circular designs. Above this is a plain course, a simple moulded course with blocks with another kapota having a sloping top and dentil projections carved with figures. 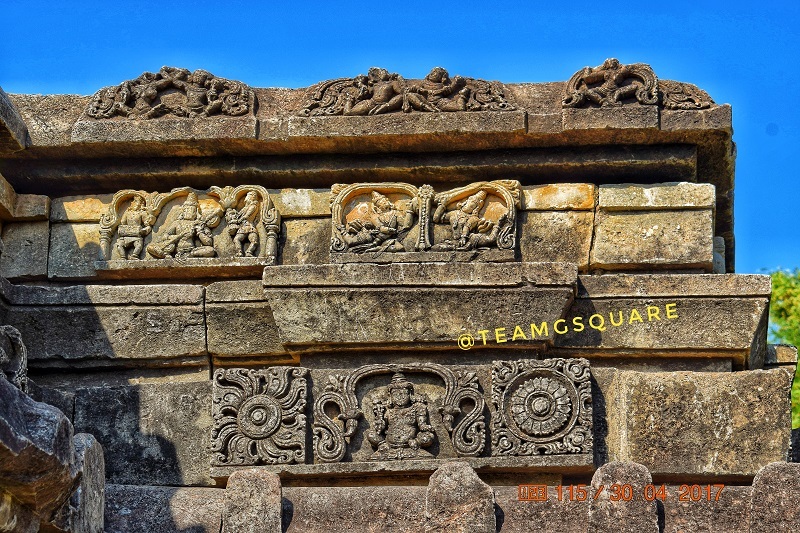 The figures carved here include those of Lords Veenadhari Shiva, Bhairava, Ganesha, Madhava, Narasimha, Goddess Saraswathi, the Ashtadikpalas, dancers, musicians, and others. 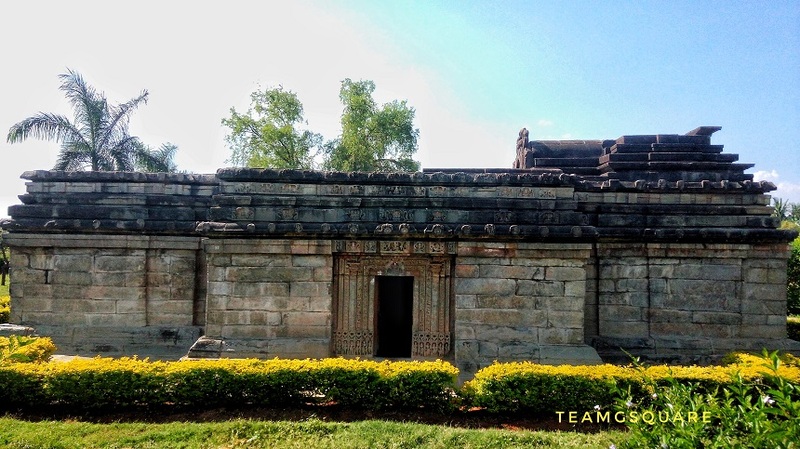 While the history behind the construction of such a temple still remains a mystery, deciphering the same will definitely add a lot more value to the current and future generations. It is sad that this temple today is in oblivion and remains locked. 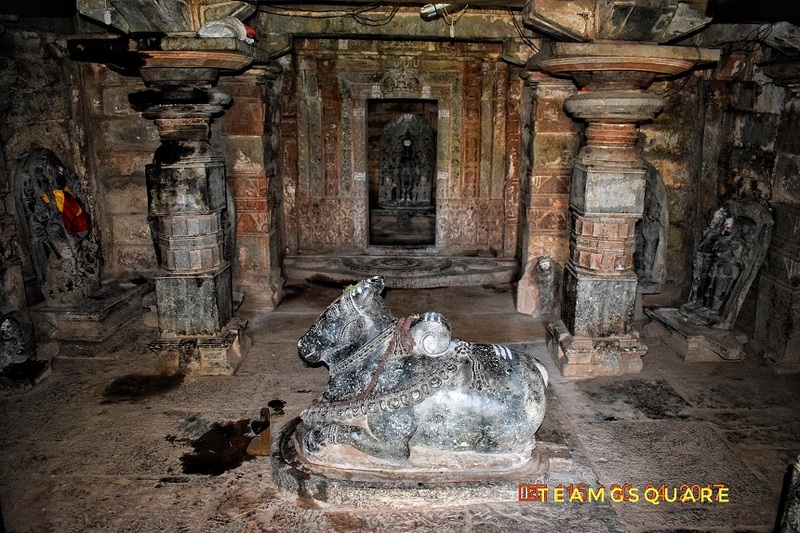 Though the ASI has done a significant job of restoring this temple, it has failed to maintain and give it the respect it deserves. 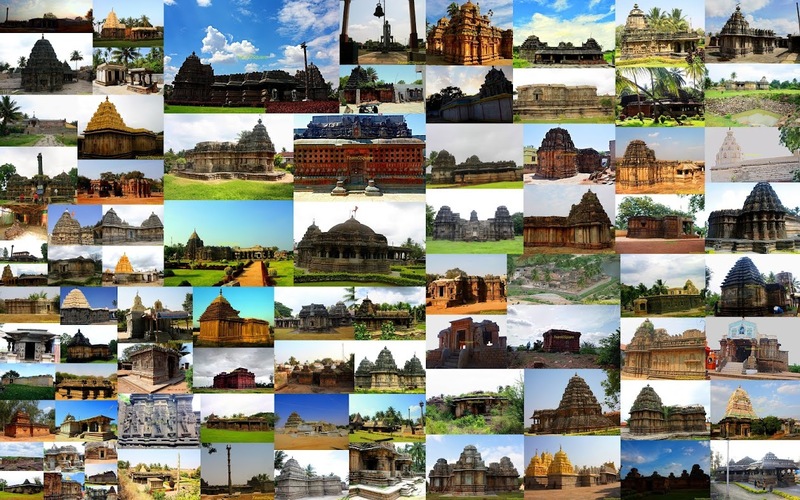 Places to Visit Around Angur: Hampi, Galaganatha, Chaudayyadanapura, Bellary, Sanganakallu, Haveri, Haralahalli, Magala, Ambali, Rangapura, Kurugodu, Gudekote, Bagali, Nilgunda, Havanur, Harihara, and many such. Another awesome post. Thanks for sharing awesome photos. Hello Dhiraj, Please refer to my latest post. I know that you too trek in smaller groups occasionally and I would like to spread awareness on what happened to us at Ratnagiri Fort. Please share it with other people you know who trek often around Bangalore.